Cloud is driving and insatiable demand for datacentres and large overseas vendors such as IBM, AWS, Rackspace and Digital Realty are looking to cash in on one of the world’s fastest followers – Australia - in terms of adoption. The result is an abundance of datacentre capacity of varying quality. But the digital universe is doubling in size every two years and is expected to surge to 44 trillion gigabytes by 2020, according to a recent EMC Digital Universe report with research and analysis by IDC. That said, the big opportunity for channel partners, according to Amazon Web Services, is not in the datacentre. It’s in the Cloud. But there is no denying the modern datacentre, built on virtualisation and new storage, will add to the opportunity, while managed service providers will be significantly impacted by the arrival of international Cloud players in coming years. The benefits of Software-Defined Networking (SDN) are also hard to ignore. IDC analysts predict the worldwide market for SDN in the enterprise and Cloud service provider segments will grow from $360 million in 2013 to $3.7 billion by 2016. Telsyte predicts that public Cloud infrastructure services in Australia will grow from $305 million in 2014 to $650 million in 2018. Strong adoption of public Cloud could also lead to on-premise becoming “end of life” as customers shift their workloads. Managing director of datacentre and colocation provider, Equinix Australia, Jeremy Deutsch, said he was continuing to see huge data growth and increased uptake of Cloud. 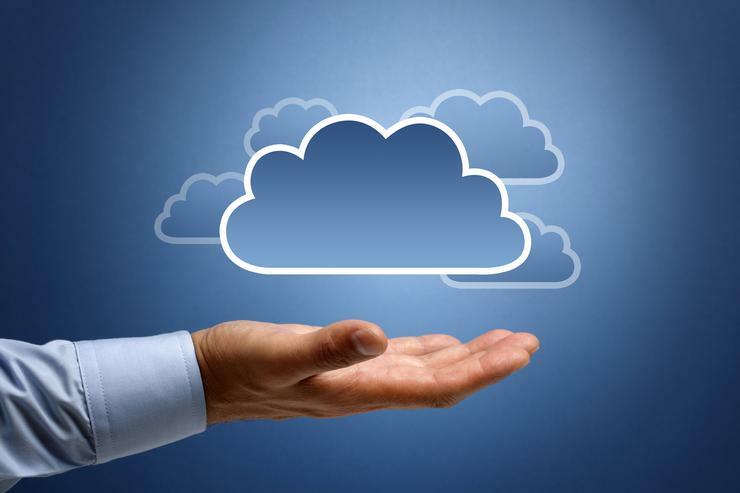 “This all points to increased need for datacentre facilities to enable the Cloud,” he said. “Equinix has continued to expand and invest because we have seen a strong need from customers requiring data centre services as Cloud and data consumption increases. “Locally that has meant expanding our Sydney facilities and opening our first Melbourne facility in Q4 this year. So, from our perspective the investment and growth are well matched. Deutsch said public Cloud offered a new, and major opportunity for the channel while anything being provided as a service such as IaaS is a huge opportunity. Amazon Web Services architect manager, Glen Gore, said the biggest opportunity was not in the datacentre, but in the Cloud. “Our growing partner network proves the value of the Cloud to channel players and resellers,” he said. “The AWS Partner Network includes nearly 7000 consulting/systems integrator partners and more than 3000 technology/ISV partners. “As customers move towards Cloud-based solutions, opportunities around migration services and assisting customers in the transition from a traditional infrastructure based datacentre to a software-based Cloud platform will foster channel growth. Frost and Sullivan estimates estimates the Australian datacentre market will expand at a compound annual growth rate of 13.9 per cent between 2013 and 2020. But while foreign raiders have been entering the market, Australian co-location datacentre operator, NEXTDC, has built a high quality national network. NEXTDC general manager of channels, Steve Martin, said he expects that growth to double digit growth to continue. “It generally takes one to two years to build a hyper-scale data centre like our Sydney and Melbourne facilities (11.5MW and 12MW of IT load) so these investments require careful planning based on the market’s size,” he said. Martin said the aggressive move to Cloud was driving the most opportunity for datacentres: “NEXTDC hosts in excess of 150 Cloud providers – from the largest globally to smaller niche providers. “However, research from IDC suggests that public and private Cloud solutions will only address approximately 50 per cent of a customer’s compute requirements. The remaining 50 per cent continues to be customer owned and more often in-house. He said channel partners who understand 100 per cent of their customers’ computing requirements and develop hybrid solutions combining public Cloud, private Cloud and proprietary equipment would be the more successful players. “Being able to manage this mixed environment on behalf of customers and managing the flow of business data between different Cloud and proprietary platforms is where system integrators should be focusing their attention,” Martin said. Digital Realty head of sales engineering, Damien Spillane, said he was continuing to see an increase in organisations investing in datacentres. “As businesses continue to gain a better understanding of the importance of data and the value it can drive for their business if analysed correctly, more are subsequently willing to invest in datacentres. Concurrently, datacentre operators are also investing in their own facilities to ensure they can continue to drive innovation and meet the changing needs of their customers. There was an increasing focus on building more efficient and sustainable datacentres, Spillane said. “Businesses are now more aware of the energy savings that can be made and the impact this can have to the bottom line,” he said. “In fact, a recent survey by Forrester, found that nearly 60 per cent of Australian organisations cited the cost of energy at the datacentre location as an important consideration when making decisions about new datacentre facilities. He said the modern datacentre was built on virtualisation, new storage architecture and the Cloud. “Channel partners focused on these three key elements will realise opportunity in the datacentre market,” he said. “We are seeing investment and innovation being made in a couple of key areas, including the use of datacentres for backup or disaster recovery as a service, and by extension the datacentre as the building block for the Cloud. Microsoft Azure is slated to open in Australia later this year and represents a significant investment from the tech giant. Veeam is an alliance partner. Rackspace A/NZ director, Angus Dorney, said there was plenty of datacentre space in Australia at the moment, but that the quality varied significantly. “We believe that local and international datacentre players will continue to invest in high quality, low PUE datacentres over the next three years,” he said. “Strong adoption of public cloud means that many on-premise datacentre customers may become “end of life” or downsize, as they shift workloads to Cloud providers.